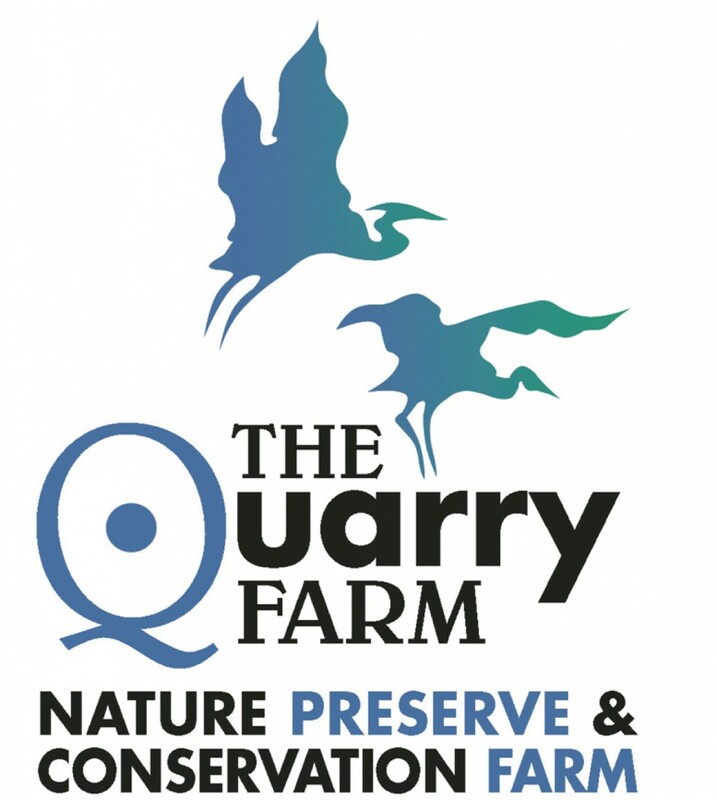 Gerald Owen Coburn, the man who first set foot to the path that led to The Quarry Farm as we know it, was, at his very core, an artist. It was with an artist’s eye that he looked on absolutely everything, particularly the natural world; a recurring theme in the body of work that he left, whether in paper, canvas, wood or stone. He was relentless in his desire to understand the world that he took to representing, primarily with brush, methodical and nearly clinical in his efforts to that end. And why not? It’s a fundamental truth that among the very many things that art is, it is most certainly science, peeled and filtered and laid out sideways so as to permit viewing from a different perspective. One of the first Coburn paintings I had the opportunity to see was a watercolor. It depicted a young boy carrying in his arms what I first mistook to be a large stone, bigger than the boy’s head. It wasn’t a stone, though. It was a puffball, a fungus in the division Basidiomycota. To put an even finer point on it, it was probably Calvatia gigantea, the giant puffball, specimens of which commonly grow to a foot or more in diameter. Even more impressive, when they’re immature they’re not only edible, but supremely tasty. Be sure, though, that you are indeed in possession of an edible mushroom before taking a bite. If you have any doubts whatsoever, caution is the word of the day. 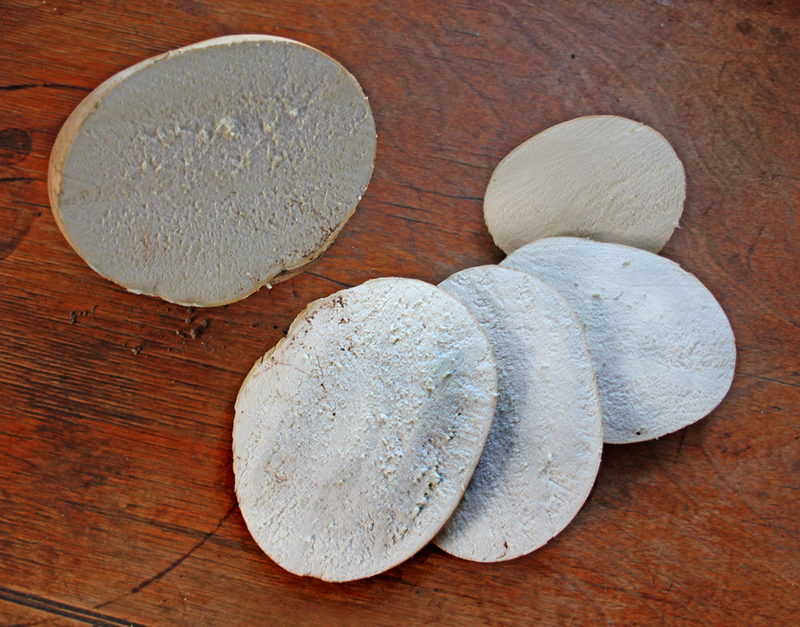 Cut the puffball into ½ to ¾ inch slices. An immature puffball, when cut, will have a uniform white appearance. If they’re turning yellow on the inside, they’re too far gone to eat. Make a slit in the tough, outer skin and peel it away. It should come free quite easily. Heat 2 tablespoons of cooking oil (each imparts its own flavor; choose to your taste) in a skillet over medium heat. Alternatively, use melted butter, but do not brown it. 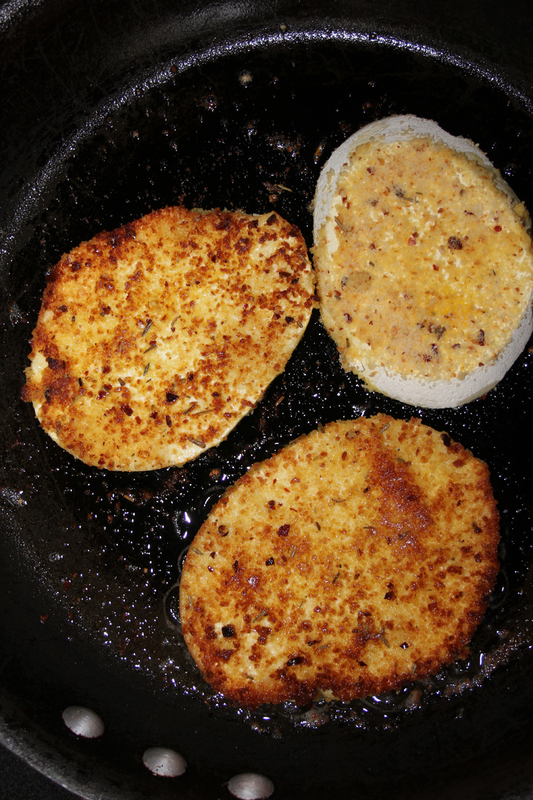 Dependent on the amount of puffball you’re preparing, you may need to add more oil or butter to the skillet as you go. In a pan large enough to accommodate the puffball slices, combine one egg with 1 ½ tablespoons of milk. 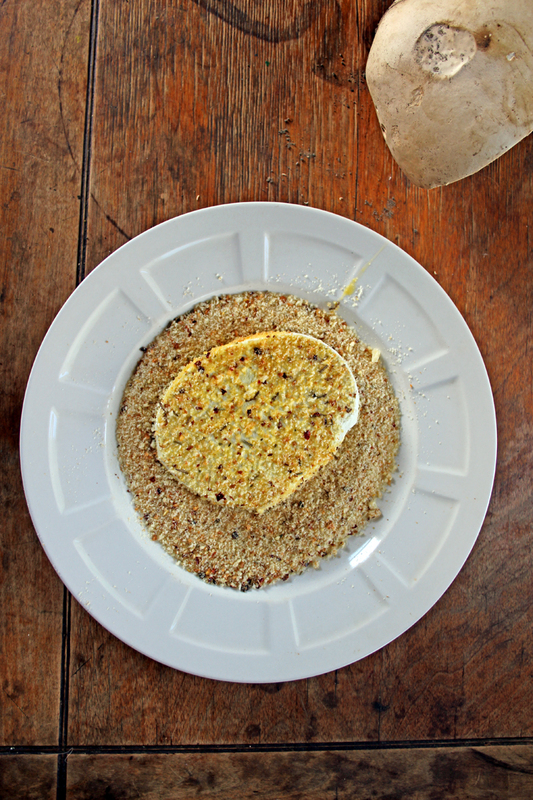 On a different plate, prepare a bed of breadcrumbs. I’ve developed a preference for making my own, but store bought will do nicely. Dip both sides of the puffball slices in the egg mixture, then dredge them through the breadcrumbs. Sauté each side until golden brown, then drain momentarily on paper towels. Serve hot.